On August 9, 1999, President Boris Yeltsin named then-unknown Vladimir Putin as Russia’s acting PM. How has that decision changed the country and Putin himself? What were the grounds for it? Experts speak out. To answer these and other questions, RT interviewed three renowned political experts. Dmitry Oreshkin: political analyst, specialist in social geography and political forecasting, voted “Person of the Year” in 2001 by the influential Rambler.ru website. Mark Urnov: Dean of the Faculty of Applied Political Science at the State University Higher School of Economics. 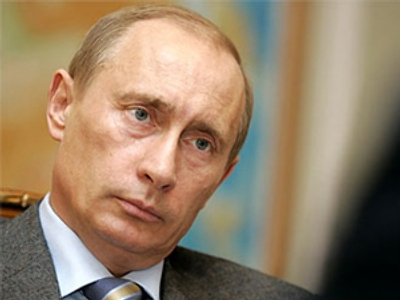 Why was Putin chosen for the post of prime minister and ultimately as Yeltsin’s successor? Oreshkin: Boris Yeltsin was assiduously looking for a successor for a long time. They had to preserve the market capitalist economy. For that they needed a person who realized the danger of returning to communist ideals and values. It was supposed to be a very tough person, who’d be able to handle that misbalanced system – after the 1990s it was necessary to put it in order. 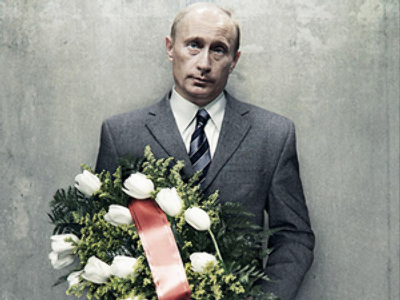 Putin seemed tough enough, and also he was a responsive and efficient person. him, it was a big tragedy for him. He thought he was the one to blame for it and he wanted to fix it in some way. So he also needed an advocate of a strong state. Actually, when strengthening the state, Putin from time to time had to appeal and in some way go back to the old Soviet values. But actually the setback was inevitable, because after any revolution at some point people start idealizing the past and trying to restore it in the present. Putin chose an interesting model of splitting. In word he demonstrates a monarchial toughness, but in practice he has to make more pragmatic steps and concessions, look for compromises. Mlechin: When Putin was appointed prime minister Russia had already come out of the economic crisis at the time, and the credit for overcoming that crisis should go to Yevgeny Primakov’s cabinet. In fact, the upswing started not because Primakov’s cabinet did something; Primakov’s cabinet just allowed natural market forces to remedy the situation. Another positive factor was that world prices for oil and gas went up, bringing money, investment, etc. As for politics, the situation was very difficult because President Yeltsin was very ill and practically unable to lead the country. People were anxious. So, when a young and energetic person emerged, people viewed it as a token of peace and stability. Who changed the country more, Yeltsin or Putin? Oreshkin: Undoubtedly Yeltsin. Yeltsin undertook a very difficult task of transferring the country from a dead and ineffective Soviet economy and Soviet system of values to a new model where there is a future in front. Private economy. Capitalism. Competitiveness. The country started a new life, corresponding to the world’s trends. And of course the country is not yet of age to say thanks to Yeltsin. It thanks Putin. Because Yeltsin planted a tree of the market economy, then it was growing for several years, and brought fruit somewhere at the beginning of the 2000s. And there was Putin to be lucky to gather the fruit. But he did it right. It’s a big skill to gather the fruit. He kept those trees, though he might chop them for firewood. He made a practical decision. He preserved the main idea. He did not plant a garden of his own. But Putin’s achievement is that he was keeping Yeltsin’s garden in a good state. Oreshkin: Political analyst Gleb Pavlovsky has coined a new term, “Putin’s consensus of elites.” This consensus is what made Putin so popular. In other words he found compromise between the interests of regional authorities and Moscow, the big business, and the interests of the defense complex and the military elites, and the media elites. He closed this chain on himself and for about 10 years he kept the country in a bearable state. Also, if in the 1990s people were solving the problem of what they would eat physically, in the 2000s they face the problem of spiritual hunger. Putin gave them spiritual food, telling them that Russia was rising up from its knees. This also was not an easy job and Putin was very good at it. Plus there are economic factors. As salaries kept growing year by year, people were grateful to the person they thought was responsible for their prosperity. Urnov: Statistics show that incomes have grown significantly. Both the official statistics and polls show growth. But the question is: what is the main factor? Did the ruling power do that, or is it thanks to the market dynamic? Popularity of power heavily depends on the income dynamic. Research shows that growing incomes provide for positive attitudes toward the power. But there is another factor, too. Our people like leaders who bang theirs fist on the table, concentrate power in their strong hands. What will Putin be remembered for? Urnov: It is absolutely clear that his name will be linked to the Yukos case forever, same about the war with Georgia. It’s absolutely linked to the conflict with Ukraine. Likewise, his name will be associated in the minds of the people and remembered with growing revenues, Russia rising from its knees, getting stronger, getting the better of the West and defending its own dignity. Absolutely. Mlechin: I’d say, the Chechen War, the accident with the submarine Kursk, and the Nord Ost hostage crisis. I think these are three things that people will remember always, or at least for a very long time. All three events were tragic, but I think they played a very important role in Russia’s history. That’s what people usually remember – dramatic events. People quickly forget good things, funny things. Urnov: In 1999 Vladimir Putin was a person with very little experience who had not yet determined his political line, and could leave room for maneuver, could choose. Also, he was rather open. What appealed to me in Putin’s rule were intensive contacts by his administration with the community of experts – regular think-tank sessions, for instance – a thing that was not there during the latter years of the Yeltsin rule, as Yeltsin was ill and secluded. Under Putin, there was an outburst of competitive programs, proposals – vigorous life. But later on the situation changed. The authorities knew precisely what they needed. In this respect, it’s quite a different Putin. It would have been strange if he had not changed for 10 years. You have to have the nerve to be a top ruler. Mlechin: In a sense, these are two different people. In 1999 Putin was a rookie in public politics. He had no experience. He didn’t know how to do things. The lack of confidence was obvious in him. He wasn’t sure he would cope with the job. Actually, many people thought he wouldn’t. I remember this well. Many people thought he was just another prime minister and that Yeltsin would soon replace him. Today, 10 years later, he is an extremely experienced person. He knows a lot; he has learned a lot. But on the other hand, he is still the same person. As one who wrote a book about Putin, I can say that his personality was shaped at an early stage in his life. His character, which has defined his political career for 10 years, was formed early on. 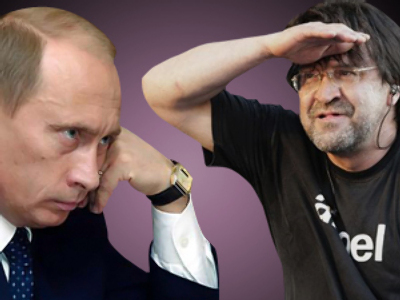 Oreshkin: Putin's 10 years in power can be split in three periods. The first stage was when he continued Yeltsin's work and had not become an independent politician yet, up until 2003-2004. The second stage was maturity, when he began to act as an independent politician. And the third period is the one we are in right now – blossoming and withering of Putin's era. So the rhetoric has changed accordingly. At first he talked about dealing with oligarchs, democratization, market economy. At the height of his career he began to say brave words of a patriotic nature, which was closely connected with growing oil prices. The more money a country has, the more patriotic its rhetoric is. Now, however, this rhetoric has subsided. Putin rhetoric nowadays is more closely related to economic problems, which is understandable because he is prime minister and in charge of the economy. Now he has more everyday and real problems that need to be solved.